The most common and serious vaccine-preventable diseases tracked by the World Health Organization (WHO) are: diphtheria, Haemophilus influenzae serotype b infection, hepatitis B, measles, meningitis, mumps, pertussis, poliomyelitis, rubella, tetanus, tuberculosis, and yellow fever. The WHO reports licensed vaccines being available to prevent, or contribute to the prevention and control of, 25 vaccine-preventable infections. In 2012, the World Health Organization estimated that vaccination prevents 2.5 million deaths each year. With 100% immunization, and 100% efficacy of the vaccines, one out of seven deaths among young children could be prevented, mostly in developing countries, making this an important global health issue. Four diseases were responsible for 98% of vaccine-preventable deaths: measles, Haemophilus influenzae serotype b, pertussis, and neonatal tetanus. The Immunization Surveillance, Assessment and Monitoring program of the WHO monitors and assesses the safety and effectiveness of programs and vaccines at reducing illness and deaths from diseases that could be prevented by vaccines. Vaccine-preventable deaths are usually caused by a failure to obtain the vaccine in a timely manner. This may be due to financial constraints or to lack of access to the vaccine. A vaccine that is generally recommended may be medically inappropriate for a small number of people due to severe allergies or a damaged immune system. In addition, a vaccine against a given disease may not be recommended for general use in a given country, or may be recommended only to certain populations, such as young children or older adults. Every country makes its own immunization recommendations, based on the diseases that are common in its area and its healthcare priorities. If a vaccine-preventable disease is uncommon in a country, then residents of that country are unlikely to receive a vaccine against it. For example, residents of Canada and the United States do not routinely receive vaccines against yellow fever, which leaves them vulnerable to infection if travelling to areas where risk of yellow fever is highest (endemic or transitional regions). There are also some vaccine-preventable diseases, which are not on the WHO-list, probably either since the vaccine is not very good according to present standards, or the disease is not any longer a threat. ^ a b c "WHO | Vaccine-preventable diseases". 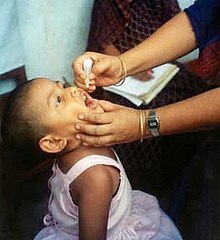 ^ a b c World Health Organization, Global Vaccine Action Plan 2011-2020. Geneva, 2012. ^ "Immunization Surveillance, Assessment and Monitoring". Retrieved 16 May 2009. ^ Public Health Agency of Canada, Canadian Immunization Guide. Accessed 10 April 2014. ^ Immunization Action Coalition, Vaccine-Preventable Diseases: Yellow Fever. Accessed 10 April 2014.